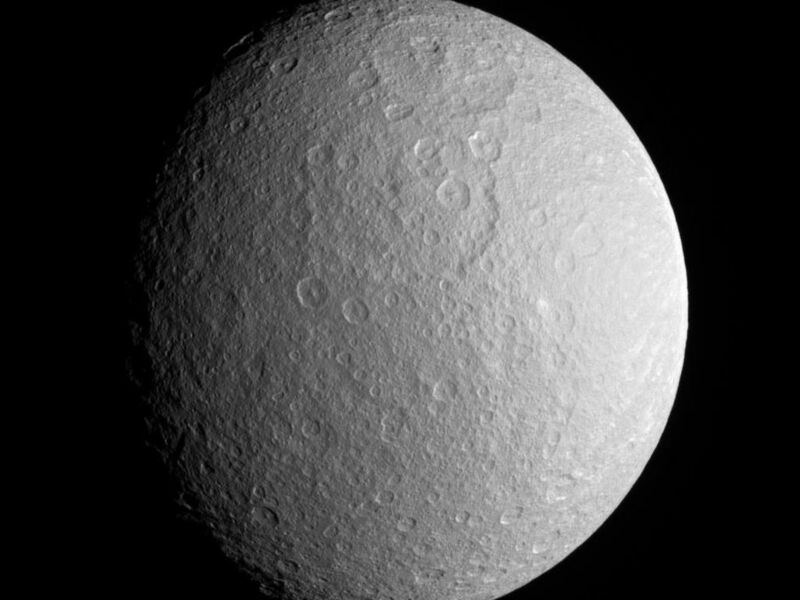 This close view of Rhea prominently shows two large impact basins on the ancient and battered moon. The great age of these basins is suggested by the large number of smaller craters that are overprinted within them. Ejecta from the bright, relatively young crater seen in PIA07609 spreads from the eastern limb. 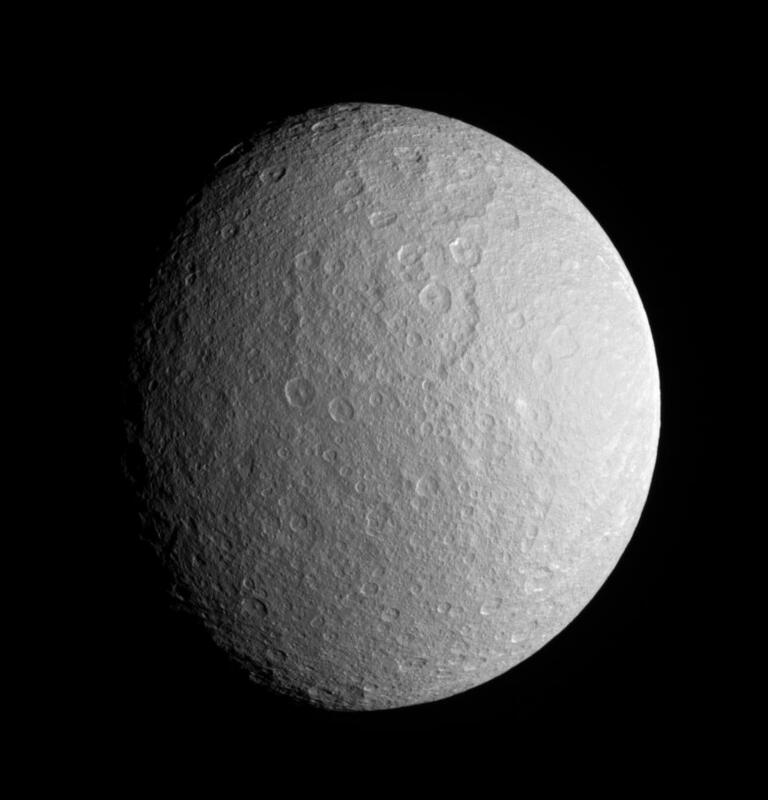 Terrain visible in this view is on the side of Rhea (1,528 kilometers, or 949 miles across) that faces away from Saturn. North on Rhea is up and tilted 30 degrees to the left. See PIA07686 for a similar enhanced color view. 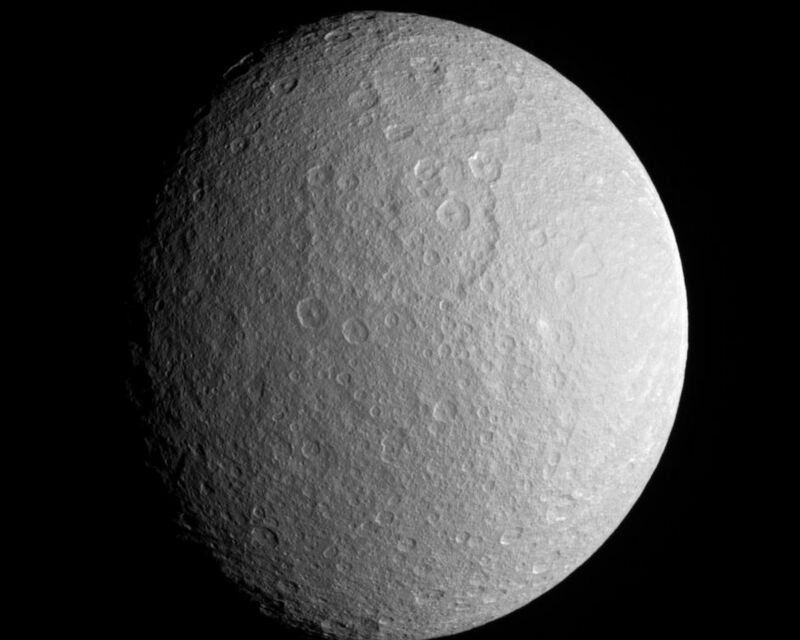 The image was taken with the Cassini spacecraft narrow-angle camera on Dec. 23, 2005 using a spectral filter sensitive to wavelengths of infrared light centered at 930 nanometers. 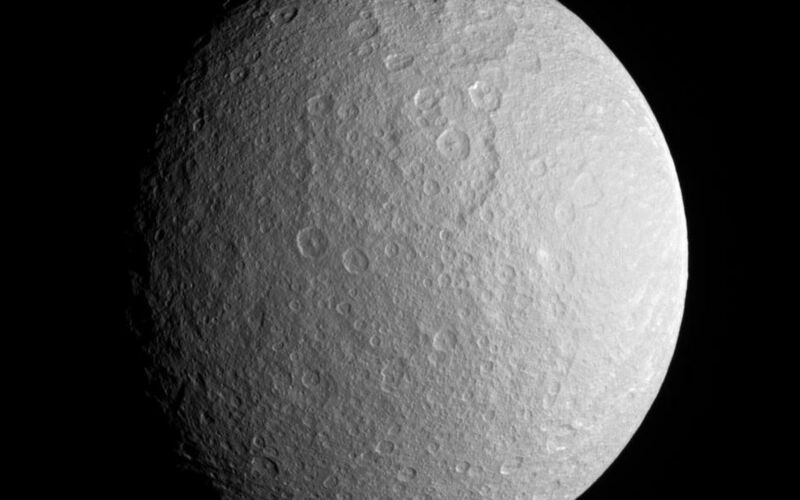 The image was acquired at a distance of approximately 341,000 kilometers (212,000 miles) from Saturn and at a Sun-Saturn-spacecraft, or phase, angle of 42 degrees. The image scale is 2 kilometers (1 mile) per pixel.